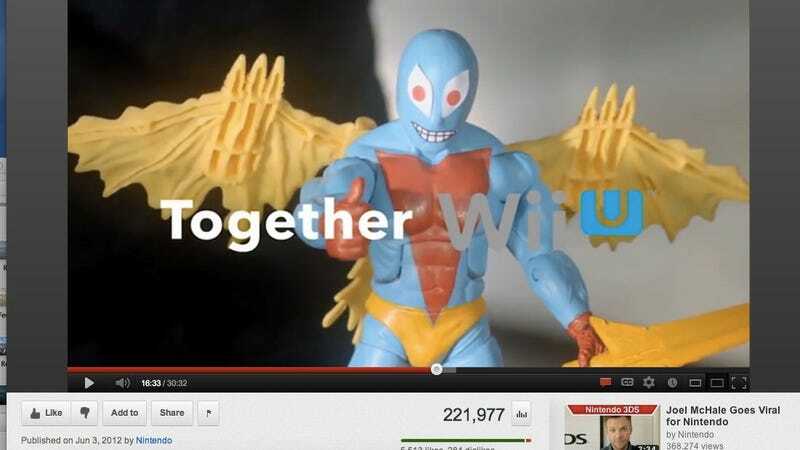 A 2/3 whip-smart, 1/3 kinda-out-there video from Nintendo yesterday outlined the company's online strategy for the Wii U. It's a fascinating strategy designed to bring people together to give them hints in games and to engender empathy among the gamer population. And that's just part of it. If you watched closely, it appeared that Nintendo introduced a new slogan in the video. One word: "together." That seemed familiar to me. Back in March, I noticed Nintendo using the same word as an alternative to a much more common word for the kind of gaming that involves a bunch of people. Where most games would use the word "multiplayer," the 3DS' Kid Icarus: Uprising used "together." Hmm. What other secrets about Nintendo's future plans are hiding in that game? ?